With several major services and projects going on Amazon has found the time to try and cater to younger demographics. Amazon Rapids is a $2.99 monthly subscription service—of course—that gives stories in the form of text messages with dialogue being handled in the form of back and forth texts. In the press release, Amazon’s General Manager of K-12 Education Rohit Agarwal noted that children enjoy using smartphones and tablets to communicate with others. Apparently it was a matter of putting two and two together and coming up with Rapids concept. 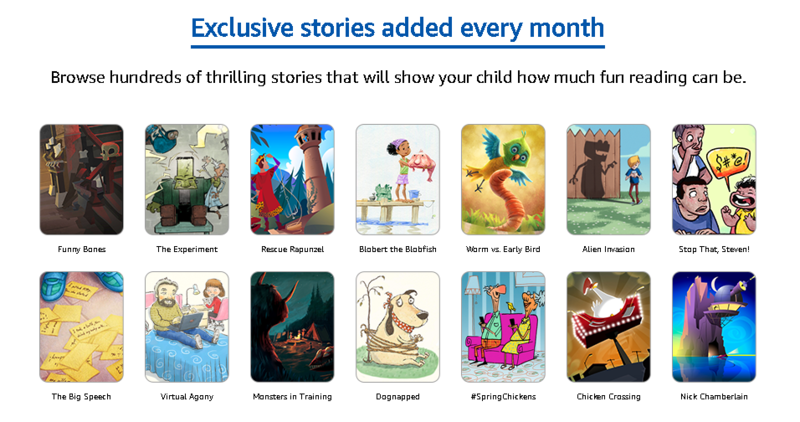 Amazon Rapids allows for children to read the story at their own pace, comes with a glossary to check out words, and will also read stories aloud. It’s unknown if Rapids will allow for different voices for different characters in story. Also there’s the question of classic and popular books coming to the service. At the moment Amazon Rapids will be made up of original content with the company saying that more stories will be added each month. The app is available on iOS, Android, and Amazon.